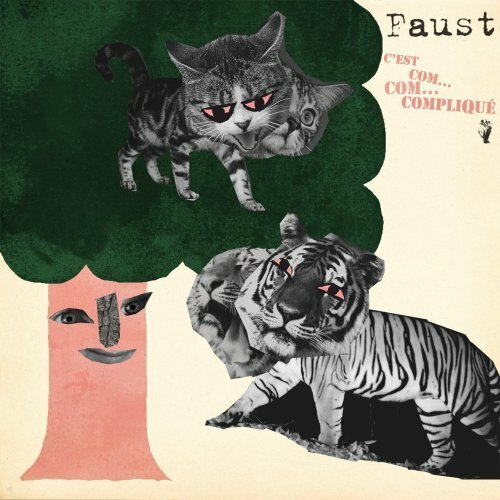 Faust are probably the only group from Krautrock’s heydey that have remained relevant in the past couple of decades, though the reason for that might also explain why C’est Com…Com…Compliqué has failed to rouse even a portion of the blog rallying that surrounded recent reissues of classic Can and Neu! albums. Those bands, like most music coming out of Germany in the ’70s, relied a great deal on innovations in electronics, and consequently got buried when they were no longer ahead of the curve. Which isn’t to say that another Ege Bamyasi (1972) at any point in the last three-and-a-half decades wouldn’t be absolutely mind-blowing, but I suspect that bands need to change, even against their strengths if necessary. 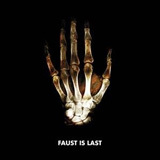 But Faust, at least relatively speaking, were the most Dadaist Krautrock group, employing the experiments of the avant-garde to some of the most erratic ends. Among their peers they were by turns (depending on the track) the most experimental and the most indebted to more traditional genres, finding an important connection between Can and Frank Zappa that probably helped fringe music survive the ’80s. Faust never became dated because they weren’t really pushing themselves so much as they were zig-zagging through whatever sounds they could come up with. Despite this irreverence and catholic acceptance of any and all sounds/styles, C’est Com…Com…Compliqué suggests that Faust continue to be just as concerned about craft as visceral effect. 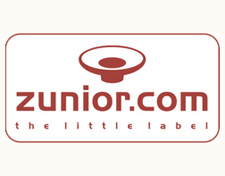 In contemporary terms the album sits uneasily in between Vision Creation Newsun (1999) and post-rock, where unadulterated throat-singing and tribal percussion rub up against atmospheric, spacious guitars; an album that wants to brood and reach for the jugular at the same time. The larger mission of the record seems to be to find a way for all these effects to work in a raw, live setting. As a result this music probably would be incredible live, but this kind of energy doesn’t always completely translate to a recording. “En Veux-Tu Des Effets, En Voilà”, with the call-answer between the bass and the drums, the wah-drenched guitar and barking vocals is like a Fall song without the concision. “Accroché à Tes Lèvres” is less obnoxious, but it’s still completely dominated by drums, bass and ’70s rock organ, and despite some bizarre vocal turns, it’s a shame a band with such a fascinating sonic arsenal should have to fall back on such obvious elements. Luckily the band doesn’t run a groove into the ground on every song. “Bonjour Gioacchino” is almost all drums playing the exact same stupid beat for about a minute-and-a-half before trumpets and strings—barely recognizable through the distortion—wrestle control in what sounds like a nauseatingly deconstructed military march. It’s one of the few times when they manage to turn dense, forbidding sludge into something that doesn’t effectively add another burning corpse to the altar of nihilistic/narcissistic rock. It’s quite an achievement in its own right. Unsurprisingly, despite the crudeness of some of the sounds, the album succeeds best when it coaxes out the subtler sounds in the background. “Ce Chemin Est Le Bon” (Chet: LeBron?) has a gorgeous drone playing at its center throughout, gradually perverted by slippery bass and paranoid whispers (all the vocals are in French, incidentally). Opener “Kundalini Tremolos,” harkening back to the minimalist endurance test of “Krautrock” from IV (1973), weaves tremolo guitar with wheezy breaths in a way which toys with transcendence but never really grants it. To exhaust the listener is an integral part of their mojo, and if you still care about this band at this point, chances are you’ve come to appreciate it but only when there’s an obvious sense of humour to it. In this case the tracks plays out like a dog chasing its tail for an hour, hypnotic and clumsy at the same time. Another familiar but welcome element is the outsider folk of “Petits Son Appétissants,” with its dumpster guitar and sheet-metal percussion mocking the cries of what sounds like a desperate chansonnier. The thirteen minute closing title track is probably the closest Faust come here to the precarious patchwork that have marked their previous work. The track mixes a calm, celestial synth with screeching horns, nearly atonal bells, smashing glass and a man who seems to be struggling to explain a difficult concept (my French is bad, but “It’s complicated” gives it away). He’s got a point: trying to pick apart trends on any Faust album, let alone deciding what works and what doesn’t, can seems like an exercise in caprice. It’s worth mentioning again that the vast majority of bands as old as these guys would kill to still be making something this relevant. Considering the extent to which they seem to follow whatever musical desires grip them at the time, rather than following an overarching path, it’s not much of a disappointment to suggest they haven’t quite graced the heights of their best work here.